Working on a recent consulting job, I was asked to explain the difference in throughput, which is, measured in MB/s verses IOPS as I had recommended a storage array that would provide many more IOPS and throughput than what is currently in use. For this client I had presented the expected IOPS per type of disk from 7200 RPM, 10K and 15K and how one would calculate the total IOPS per expansion unit but failed to explain the available throughput other than an increase in uplink speed to 6GB. Throughput is a measurement of the average number of megabytes transferred within a period of time for a specific file size. Back in the day this was performed using a single computer making a single request for a disk, but in today’s age with large storage arrays that are providing storage to a number of clients we need to measure based on a lot of small read/writes verses a single computer making a large request. To measure throughput one can use the following formula. With this formula your IO will be your block size. For an array with 10 10k SAS drives which provide approx 145 IOPS per disk we will use 1450 IOPS, in the real world this will differ based on RAID configuration. Other than RAID0 there is a penalty for writes. Not with reads. For RAID1 and 10 there is an I/O penalty of 2, for RAID 5 there is I/O penalty of 4 and for RAID 6 a I/O penalty of 6. RAID 6 is popular among SANs. Hard drive manufactures will advertise 100MB throughput for a hard drive so why wouldn’t you see 1000MB throughput in a RAID 0 configuration. Because in the real world you are not performing the edge cases they are doing. Your IO workload will be more than a single sector read. These disk manufactures don’t share their engineering specifications or what criteria they used to benchmark their drives. One thing you can bank on is that they do what ever it takes to get the best results possible for marketing. Your results will vary drastically. I was reading an article over the weekend where the author pointed out that the standard naming convention for SQL Server database files was .MDF for the data file, LDF for the log file and NDF for additional data files. This was good stuff so far, then the author stated that these can be changed if you want to mess around with your other DBA’s. I have known for years that the file extensions are merely suggestions (best practice) and that you could change them if you so chose. Some companies may have policies defined that data files must have an extension of .001 and logs .002, etc. What I wish the author had pointed out was that if you deviate from what is standard for file extension naming for your data and log files, please make sure your security department adds those new extensions to the list of excludes for your virus protection. If not, you will have successfully launched a denial of service (DOS) attack against yourself. Without Instant File Initialization turned on, each time a data file on SQL Server 2005 and above is created or has to grow in size, the file or portion of the file added must be zeroed out. Depending on the size of the file this can be a very time consuming task. By turning on Database Instant File Initialization, you are telling the operating system to trust SQL Server to properly handle this allocation. Since you are looking to enable Instant File Initialization you should also consider setting a proper auto growth setting for your database. Something in MB verses percentage. This should be a fail safe, you try to implement some type of policy or procedure to monitor the amount of free space in your databases and try to grow them after hours. What me demonstrate this on YouTube. While there isn’t an option within SQL Server to turn this on, the process is very simple. 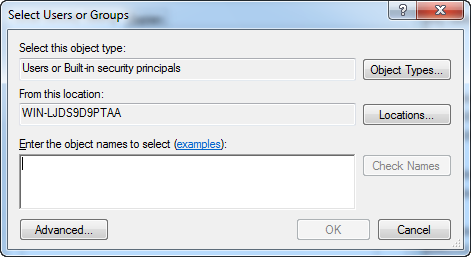 You simply have to add a SQL Server group to a security policy. 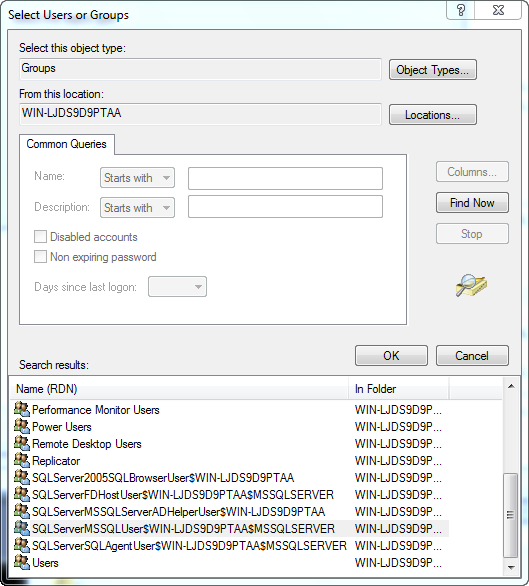 To find which group to add you need to run lusrmgr.msc on the workstation or server in question. Click on Groups, marked with a RED arrow on the top left of the image below. 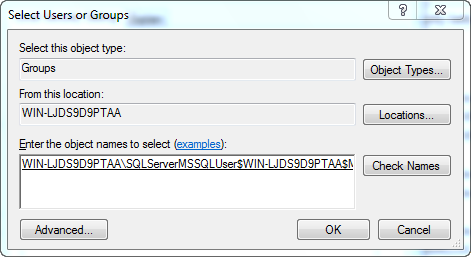 Then look for the group that states “specified instance of SQL Server” This is highlighted in the image below. The group in my experience has nearly always been “SQLServerMSSQLUser”, plus Machine Name, then Instance Name. Take note of this group (write it down) as you will need to add it to a local security policy. You can now close out of lusrmgr. Next click start, run and type SECPOL.MSC. 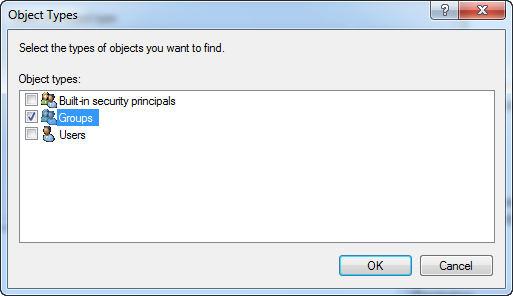 The dialog box in the image below will open up. 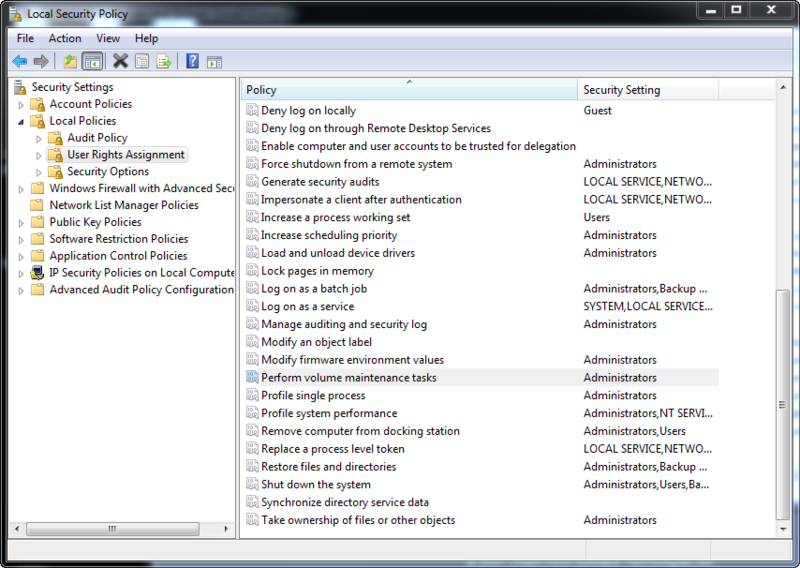 Expand “Local Policies”, click on “User Rights Assignment”, then scroll down the list of Policies until you see “Perform volume maintenance tasks”. 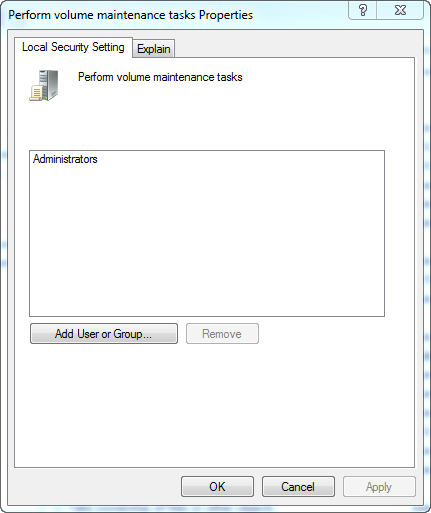 Double click on “Perform volume maintenance tasks”. You should now see your group listed. 1) You could just grant access to the SQL Server Service account, however if this Service Account is ever changed you will have to go back and add the new account to the Security Policy. Which ever way works best for you. The important thing is to just have it on. 2) By not zeroing out the file there could possibly still be data that could be read. This is a very slight security risk and there are only a few scenarios where this could pose a risk. The average Joe could not access the data. 3) Instant File Initialization only works for your data files, it does not have any impact to your LOG files. By turning on Database Instant File Initialization, you are telling the operating system to trust SQL Server to properly handle this allocation. Since you are looking to enable Instant File Initialization you should also consider setting a proper auto growth setting for your database. Something in MB verses percentage. This should be a fail safe, you try to implement some type of policy or procedure to monitor the amount of free space in your databases and try to grow them after hours. It is basically a nice GUI to return your index fragmentation level and makes a recommendation whether you should rebuild or reorganize your index. An extra nice feature is the ability to fix them right then and there or the tool will generate the TSQL code for you to execute later either manually in SSMS or you can through it into a job. A much better long term solution though is to utilize Ola Hallengren maintenance script or the one I like to use written by Michelle Ufford. Even with me having weekly jobs to interrogate my indexes I have been playing with the SQL Index Manager and taking a look at my databases each day during the week to see how much fragmentation is occuring. What I have noticed is a few volital tables that could use a mid week or nighly reorg. Fortunately most of these are tables used in various back end operations and do not impact my end users. I give this tool two thumbs up and would recommend everyone to download it now while it is free and give it a try. Keep in mind that this is a BETA release. This product came out of the down tools week so this product was built quickly but I haven’t found to many bugs other than the random crash here and there. It is still more stable than most Windows OS’s I have worked on.